It’s about time I share some of my favorite records. Not that I’d have that many – actually it’s quite a small collection consisting of but a few dozens of vinyls and CDs I have managed to keep after moving and relocating a couple of times. Also, opposed to adolescent dreams I did not turn exactly into an audiophile, but anyway… this ought to be about having fun and that’s also what I’ll concentrate on in this blog series. 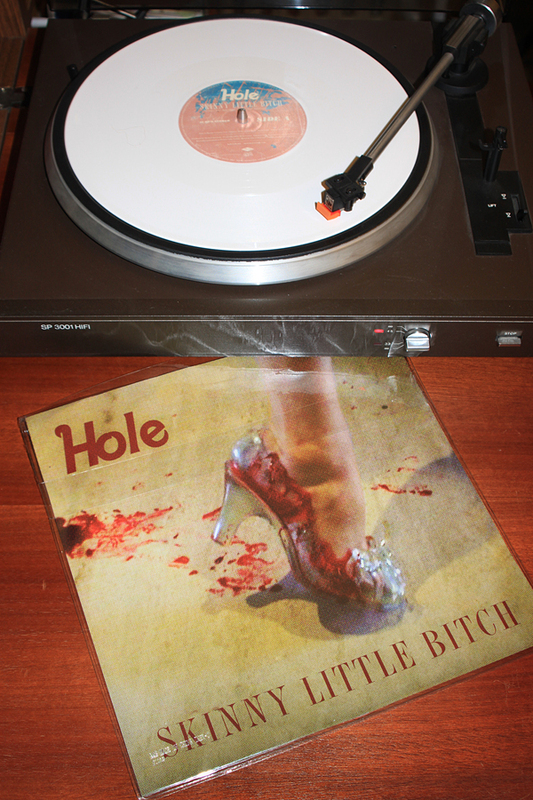 So, I am starting with my recent acquisition, which is a milk white 10” vinyl single by Hole. The background story is that around new years we were watching some music documentaries on tv whilst I was lying in bed with a stupid stomach flue, which brought amongst others Hole to my attention. Actually I have not been overtly interested in them before as that whole grunge thing and related had more or less passed me by. However, I remember to have been quite fond of Courtney Love’s acting in The People vs. Larry Flynt and began looking for Hole music videos and interviews on youtube. After listening to some stuff from the 90ies I finally checked out the latest (and last?) album Nobody’s Daughter, which I’ll have to give another listen. Then visited the merch site and came across the glass slipper poster… continued to look for records on ebay and was quite happy to find this was indeed the art on the single release. Honestly, why else buy a single if not for some attractive cover art? Well, it also got a heartfelt cover version of Codine on the B-side, which makes a nice addition, however I could live without that. I bought this record chiefly for the visual aspect. The white vinyl adds to this and I must say it feels nice to hold this record in the hands, there is not much fuss around it apart from the cover. Therefore it has one dirty rock song on it. (Love the contrast.) Secondly I imagined this song may sound nice on vinyl and infact I like a lot how it sounds on our old vinyl player. Besides, at first we accidentally spinned it at 33 rpm… doom baby (don’t go slower). My mum then asked me if it was a man singing (however the record was already spinning at 45 rpm then). Well, I think next time she’ll recognize the voice! A final remark, I appreciate the fact there is still someone like Love in the alternative ‘mainstream’ department continuing to do music like this. 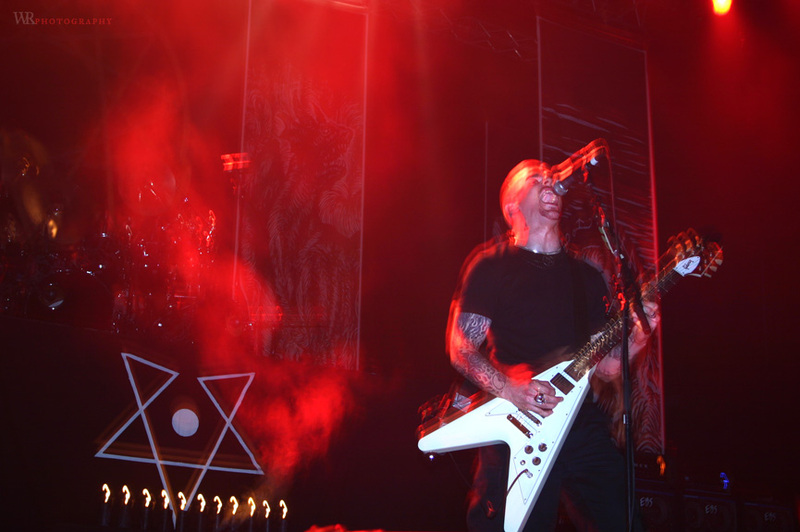 This is rock the way it’s supposed to be. Good choice to release this song as a lead single. Btw. if you have not seen it yet, here is a nicely done video by a fan.